The Dental Shield In-Clinic Dental membership plan will help your practice provide care to those people without traditional dental insurance benefits in your community. Dental Shield has developed a system that will increase customer engagement of your website by more than 300% in terms of lead generation. Using state of the art proprietary technology that incorporates a video and an AI ( artificial intelligence) chat system, patient acquisition has never been easier and more appealing. To see a demo of this technology click on the following link. From implementation, training and marketing, we cover all bases to ensure that your membership with Dental Shield is a success for your office. All of our programs are powered by our Dental Shield software, a proprietary program enabling dental practice owners to easily develop customized and automated dental membership programs. The software’s easy to-use interface allows to be easily implemented in dental practices any where they may be in the world. 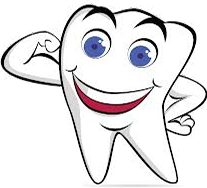 In Canada 42% or more of the population without dental insurance, the United States it is nearly 60% or more of the population without dental insurance and Dental Shield Membership Plans provides much needed dental benefits to the people in your community without dental insurance. An in-house Dental Shield Membership Plans gives people a reason to accept treatment and visit your office. Eliminate the barrier of not having “insurance”. 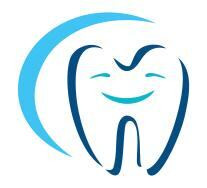 The Dental Shield In-Clinic Dental Plan pays your office directly for all treatment provided. The relationship is always kept between the doctor and the patient, and not an insurer, the way it was always meant to be! Patients are spending less on dental care today than they were five years ago. Unemployment rates are falling but employers are reducing the benefits they provide to their employees. The Dental practice continues to have many pricing pressures as new entrants via the dental schools and consolidators force prices lower. Patients as well are looking at reducing their health expenditures so doing business the “old way” no longer works for those practices that are looking at ways to build. However, it does not have to be this way. These challenges can be overcome with a change in the way we currently do business. The Dental Shield In-Clinic plan takes a different approach to a patients’ dental health benefits. It is an in-office membership plan providing both dentists and patients an alternative to traditional insurance, and helps dentists offset the changes in patient behavior brought on by the still slow economy. It is important to note that dental associations are concerned with an ill conceived and marketed in-clinic dental plan and the impact it may have with their members. Dental Shield has developed the in-clinic program with these factors in mind and makes sure that all benefits are clearly defined and laid out so that patients understand exactly what the plans do and do not cover. When you become a Dental Shield In-Clinic Plan provider, new patients can purchase a Dental Shield In-Clinic membership directly through your own website in just a few minutes. By offering preventative services in monthly installments, practices can increase their new patient flow of fee-for-service patients without insurance. The Dental Shield In-Clinic Plan is also be an excellent patient retention alternative for patients within your current patient base that do not have insurance. When you sign up to become a Dental Shield In-Clinic Plan provider, a custom webpage is automatically created for your clinic. A link is placed on your website and when your patients click on it they are directed to your custom page where they can register for the Dental Shield In-Clinic Plan. Dental Shield In-Clinic Plans allow your practice to offer in-clinic preventive membership plans that cover necessary check-ups, cleanings, and x-rays, in addition to a discount on restorative and cosmetic dentistry that your practice sets. You are in complete control of all membership fees and all discount terms and conditions. Dental Shield performs all of the collections and processing through automatic monthly credit card processing to the patient’s credit card. The practice receives a monthly payment for all current Dental Shield In-Clinic Plan memberships via wire or check. Dental Shield provides the platform to manage any in-house membership plan, helping to automate collections as well as track, manage and organize your plan including ours. No more reasons to check on insurance availability or having a third party involved in your doctor-patient treatment planning relationship. The Dental Shield In-Clinic Plan will help any clinic rise above the rest.